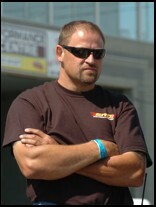 JORDAN STATION, ONTARIO (May 1, 2010) – Although he may not be driving a race car this year, Carl Spiering is still one of the busiest people in drag racing. 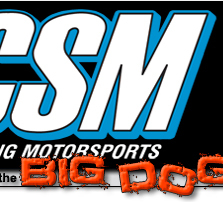 The former Pro Modified driver will be behind the scenes in 2010, directing his attention on his engine-building business and other racing related projects, as well as providing tuning assistance to many of his ERD customers. "Our focus right now is on engine building and track support," said Spiering. With his Jordan Station, Ontario-based Engine Research & Development (ERD) facility, Spiering and his staff will continue to develop, build, and provide support in the performance engine arena. 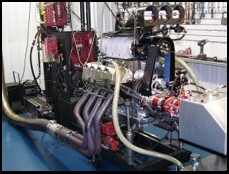 Along with engines for drag racing, ERD provides powerplants for dirt oval track, Sprint Car, tractor pull, and road racing applications. Carl along with his team Terry Vince and Rob Becker have spent the winter focusing on the screw charger program for PMRA customers as well as competitive engines that will be running on unleaded fuel. Spiering said he will be concentrating on research and development for unleaded gas engines within the ERD shops. 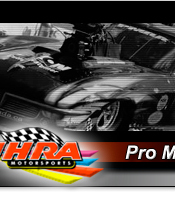 After competing in the Pro Modified ranks in the IHRA (International Hot Rod Association), NHRA (National Hot Rod Association), and the Pro Modified Racing Association (PMRA), Spiering turned his attention to the Quick 32 Sportsman Series, and drove a Chevy Cobalt in the series' Top Sportsman class. He placed third in 2009 Championship Point Award Series the first year of the Quick 32 Sportsman Series. 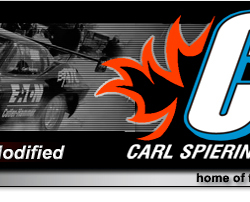 Both of Carl's daughters have competed at the drag strip as well. Lisa, 19, graduated from driving a Junior Dragster to a Top Dragster, and raced the powerful car in 2009, while 16-year old Monica raced in the Junior Dragster ranks. Lisa and Monica will not be racing this year, concentrating on their other passions. Spiering noted he has enjoyed his time behind the wheel of a race car, but needed to step back. "After 12 years of professional racing in the IHRA I have no regrets," he said. "But I couldn't think of a better time to take a break. 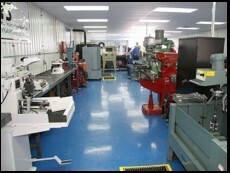 Our engine business has grown significantly, and we're going to be doing some serious R&D for unleaded fuel programs." 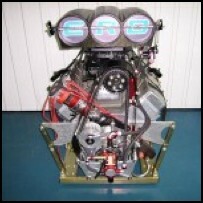 ERD, www.erdengines.com are focused on research and development as well as on-track support for its customer base and will be at all the PMRA and Quick 32 Sportsman Series events as well as scheduled testing.